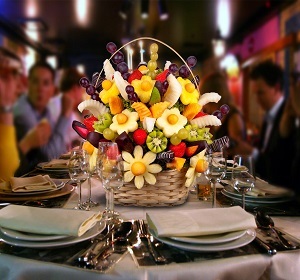 Frutiko.cz company creates fruit flowers as an original company gifts and healthy snacks for company parties. Your clients and business partners can delight gift in the form of healthy fruit flower with decorated company name with your corporate logo.Gift package in corporate colors gift cards with your corporate logo with text to the recipient . Frutiko creates original fruit snacks – fruit flowers according to your choice, fruit in chocolate in the shape of your logo and more . 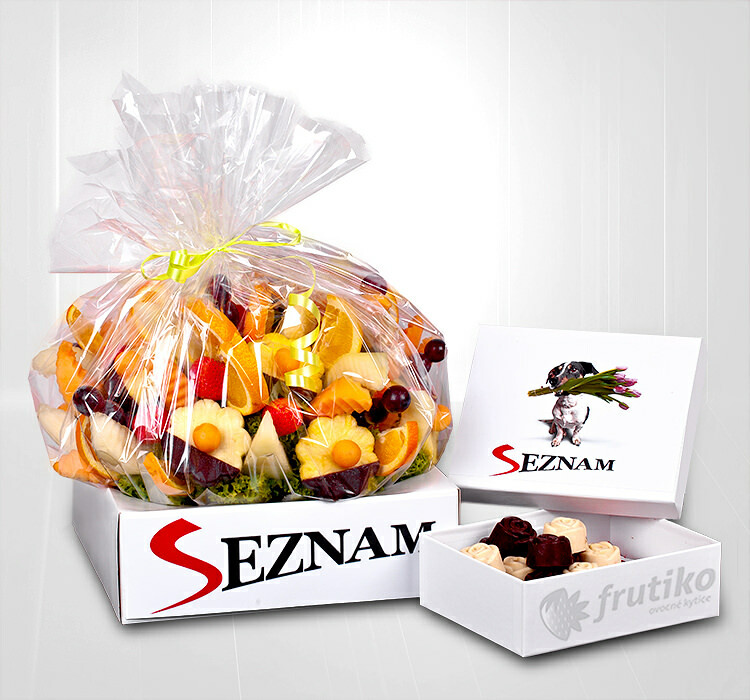 Frutiko fruit bouquets and choco-boxes are original gift for business partners and client of your company. Gift of fresh fruit and quality chocolate which shape of beautiful flowers will delight your partners and clients for their originality and delicious taste. Send unique bouquet of edible fruit and chocolate as a gift to your customers and business partners and we will deliver it for you in Prague , Brno and All Czech Republic and add extra gift card with your company logo and personal text. Edible decorations will transform your company events into a memorable feast. We will create bouquets according to your wishes and requirements with the preferred fruits and of course with your company name. Frutiko choco-fruit boxes are great idea for corporate gifts and refreshments for company parties! !